Poole Swimming Club’s Teagan-Mae Graham maintained a strong lead throughout the 17+ Women’s 1500m to claim the title in 17:59.69 on day four of the Swim England National Summer Meet 2018. Lucy Wheeler of Wycombe District finished second with a time of 18:05.35 while Dorothy Goodgame of City of Oxford clocked 18:10.14 for bronze. In the 16 Years race, Caitlin Kilgallen of Chase touched in 18:00.44 – a cool six minutes ahead of Lincoln Vulture’s Lauren Woods. Woods finished in 18:06.48 while Scarlett Aspinall from Southport won bronze with a time of 18:14.68. Chloe Quinn, of Nova Centurion, took gold in the 15 Years age group in 18:08.22, just one minute ahead of Thanet Swim’s Tamzin Myburgh (18:09.22). 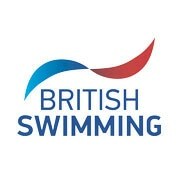 Royal Wolverhampton swimmer Eleanor Bainbridge touched in third after 18:12.80. May Bradburn from Chelmsford Swimming Club swam a solid race to take the 14 Years title with a time of 17:57.37. City of Sheffield’s Abigail Miles finished second in front of a home crowd after 18:00.53 while Lottie Shaw (Northampton Swimming Club) clocked 18:04.53 to take bronze. In the youngest age group of the event, 12-13 Years, Bobbie Harper brought home a gold for Northampton with 18:07.97. Kennedy Gordon from City of Guildford took silver (18:10.86) and Basildon Phoenix’s Ruby Wheeler finished third (18:13.30). City of Derby’s Megan Neave took the gold medal in the Women’s MC 200m Freestyle event on day four of the Summer Meet with a score of 552. The S14 swimmer clocked 2:28.79 to finish ahead of Fern Ioannou (S14) from Wycombe District who finished second with 526 points (2:31.23). City of Salford’s Georgia Sheffield took home the bronze medal with 509 points (2:32.90). The Women’s 200m Butterfly saw a competition of two halves. It was closely contested in the younger years where the older age groups saw bigger gaps in times. Chloe Harris of Royal Wolverhampton won the 12-13 Years competition by less than 0.10. She clocked 2:20.54 while Ellesmere College’s Henrietta D’ammassa finished in 2:20.65. Kate Morris, of Nova Centurion, finished third with a time of 2:28.09. 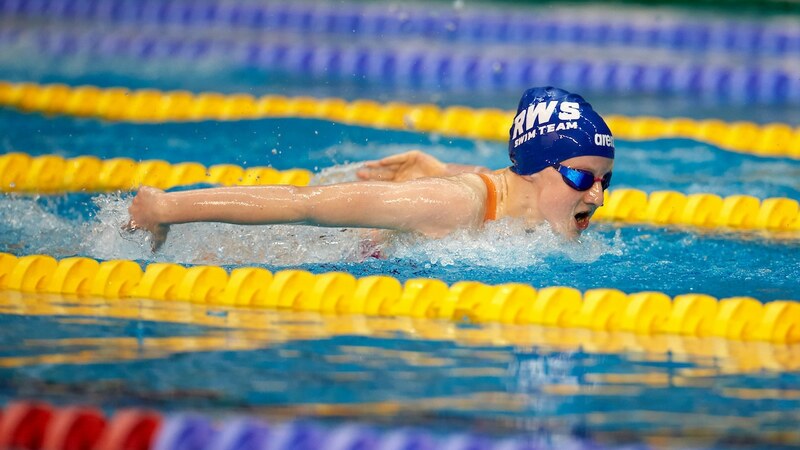 Isabel Kay (Winsford Swimming Club) was crowned 14 Years champion with 2:24.02. Again she was less than 0.10 ahead of her next opponent, Lauren Knight (City of Birmingham) who clocked 2:24.11. Lois Keyes from City of Liverpool took home bronze with 2:25.42. Just 0.11 separated the top three in the 15 Years category, the title went to Thanet Swim’s Maria Evans who clocked 2:23.01. Frances Newe (Dulwich Dolphins) finished second in 2:24.08 and Kate Baxter (Portsmouth Northsea) touched in 2:24.09. In the 16 Years race, Alesha Kelly won by an impressive margin of almost two seconds. She clocked 2:23.60 with her nearest opponent, Mia Hunt from Bassetlaw Swim Squad, finished in 2:25.12. Third place was more closely contested with Drew Dill, Camden Swiss Cottage, touching in 2:25.46. The final race of the Women’s 200m Butterfly was the 17+ Years and two commemorative medals were presented. Both went to swimmers from Denmark, Katrine Bukh Villesden finished first in 2:11.23 while team mate Regitze Gaard touched second on 2:12.97. The Swim England National gold went to Maisie Macartney of Thanet Swim for a time of 2:18.15. Silver went to Hannah Trowsdale (Loftus Dolphins) who touched in 2:20.58 while Katelyn Bergin (Mount Kelly) took bronze with 2:21.58. The Men’s 200m Butterfly event saw an incredibly close one, two, three – just 0.53 separated them. Hugo Bellamy from City of Cambridge clinched the title with a time of 2:07.05 while second went to Mount Kelly’s Thomas Brew in 2:07.23. Matthew Right, Bath University, took bronze having clocked 2:07. 58. In the 17 Years event, Alex Watkinson, from Warrington Warriors Swim Club took the title after touching 2:05.42. Joshua Harris of Nova Centurion clocked 2:07.80 while Simon Kliment (City of Sheffield) finished in 2:08.59. The 16 Years title went to Joshua Williams of Wycombe District for clocking 2:12.70. His next closest opponent, Ethan Wright (Winsford) finished just 0.04 behind the leader in 2:12.74. Third place went to Wright’s team mate Finn Armitt who touched in 2:13.19. Fifteen-year old Edward Hunt made a cracking start in his age group. His 0.63 reaction time gave him the lead he needed to finish first with a time of 2:11.20. Devesh Kapoor was on the Teddington swimmer’s tail and clocked 2:12.24 while Joshua Gammon (Barnstaple) finished third in 2:12.68. In the youngest age group, 13-14 Years, almost a second separated first and second place. Jan Poulton of Wycombe District took the title in 2:15.92 while Niall Connell (City of Coventry) touched 2:16.81 for silver. City of Salford’s Joseph Stout came third with 2:17.55.